When it comes to firewood delivery to your home or industry, we’re the leading suppliers of this precious commodity. 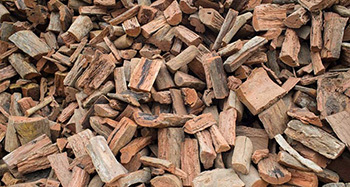 Our extensive experience in the business has made it possible to fully satisfy the needs of our clients by supplying them with quality dry firewood each time they need. We seek to become the number one supplier in the entire region, thus if you are looking for firewood on sale, get in touch with our Johannesburg experts on 087 551 0614. Our authorized tree felling experts are always on standby to hear from you and supply you with the best quality firewood. They are specialists in bagged firewood for open fires, log burners, braai, wooden-fired ovens, and barbecues. All of the firewood that we supply is a permitted and consented arboricultural work product, and thus you don’t need to worry about getting poor supplies. To make certain that our esteemed clients get the best firewood in Johannesburg, our specialists utilize a hydraulic log splitter or a maul to remove tree stumps and split difficult and heavy logs into some manageable and easy to use pieces. After the wood splitting, we stack it in pens to allow it to dry. We can undertake short notice supplies or you can plan a delivery with us. Get in touch today for additional information and free price estimates. If you are in need of the best instant lawn supplier to cater for all your lawn needs, then you’ve got us. We are specialists in this line of work and no other supply offers a wider instant grass variety in Johannesburg than us. We appreciate our clients more and that is why we are always focused on producing and supplying the best quality lawn for all your requirements. If you want effective services, you can easily call our reputable team on 087 551 0614. As the best in the business, we assure you of the most reliable services than anywhere else. Call us now and let us provide you with all the right solutions. We are also available for professional tree trimming services.